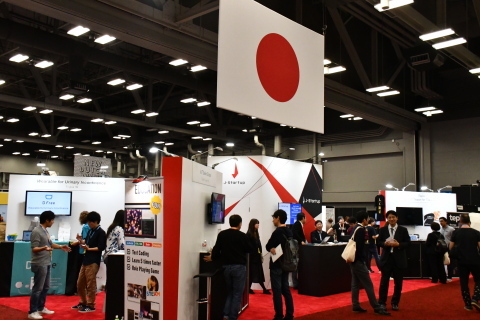 AUSTIN, Texas--(BUSINESS WIRE)--Japanese startups demonstrated how to solve societal challenges and make lives easier with innovative technologies at SXSW 2019. These startups, part of the government’s J-Startup program to incubate globally-competitive startups, are the face of the new business environment in Japan as a global innovation hub. Specifically tailored to encourage invention and creative problem-solving, the J-Startup program produces startups that are using human imagination to bring greater joy, better environmental stewardship, and groundbreaking innovation to industry and everyday life. ArchiTek chip, a startup that addresses the pressing need to lower the cost and increase the performance of artificial intelligence, demonstrated its low power, high performance chip that runs computer vision and AI algorithms with high performance. The chip can be used for autonomous vehicles, security cameras, cybersecurity systems, robotics, and data centers. It aims to make AI more affordable and integrated into mainstream applications. Empath Inc. demonstrated its program that identifies emotions – joy, calm, anger, and sorrow –using artificial intelligence, regardless of language. This startup’s mission is to develop and provide technology where all people can understand and help each other, with specific use cases in telemarketing. It’s currently being used by 1,000 customers across 50 countries. 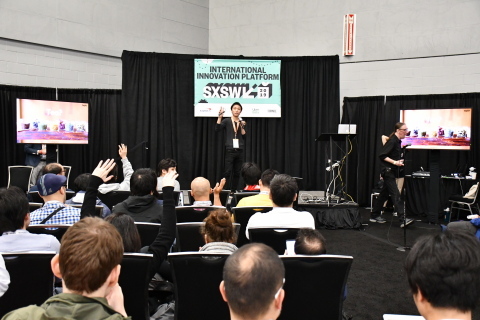 LOAD&ROAD demonstrated its tea-brewing innovation, Teplo, a smart-tea brewer that uses a heart-rate sensor to collect mental state data and securely share it with a mobile app to brew a perfectly personalized cup of tea. It recently won the CES Innovation Award for Home Appliances. AI SILK demonstrated its new, non-irritating wearable material, created by turning raw silk into highly conductive, comfortable, and durable clothing. The material features electrodes that collect vital physical data with precision to help individuals regain and maintain health following an injury or illness. DFree demonstrated the first health wearable device for urinary incontinence, developed by Triple W, that uses a non-invasive and non-harmful ultrasound sensor to monitor bladder fullness and notify the individual or a caregiver via a smartphone or tablet when it’s time to go to the bathroom. It’s an alternative to diapers and medications for adults, children, and people with disabilities who need to manage the loss of bladder control. It recently won the CES 2019 Innovation Awards Honoree in the Fitness, Sports, and Biotech category. Life is Tech is the coding education company, which is going to launch an online/real hybrid role-playing coding game in collaboration with Disney. It solves geographical gaps by combining entertainment and coding education. Spiber designs and produces protein materials such as spider silk, ushering in a new age of manufacturing where the large-scale adoption of bio-produced protein materials can finally become a reality. Its target markets include the apparel and automotive industries, with the potential for immeasurable impact and widespread commercial adoption. ALE Co., Ltd. demonstrated the world’s first man-made meteor shower project, Sky Canvas. It uses space as a stage to accomplish shooting star performances, created by meteor particles released from a space satellite into the atmosphere that create artificial meteor showers visible in an area of up to 200 kilometers in diameter on earth. The Sky Canvas is mainly used in the entertainment industry and has potential scientific research use cases as well. Unipos demonstrated its new app that allows employees to recognize and celebrate their co-workers’ workplace contributions through “peer bonus” notifications using popular collaboration tools like Slack, Chatwork, Workplace, and Microsoft Teams. Yume Cloud Inc. created Masu Glass, a new, luminous way to enjoy sake. Masu is a traditional Japanese wooden cup for sake and the Masu Glass combines tradition with modern IoT technology to colorfully illuminate a sake drinker’s movements, pours, toasts, as well as surrounding sounds and musical beats. The creators of Masu Glass want to encourage people around the world to experience the age-old sake culture in a fun and contemporary way. The exhibition is a part of the J-Startup Program, a pioneering government initiative launched in June 2018 designed to create optimal environmental conditions to foster 20 unicorns by 2023. Around 100 J-Startup companies were recommended by the Japanese business community as the ones with the potential to achieve unicorn status. These startups receive support from successful entrepreneurs and investors so they can succeed globally and bring new value to future societies around the world. The Government of Japan has focused on strengthening innovation ecosystems to incorporate external dynamism beyond its borders and developed a more effective regulatory environment through the business-friendly Abenomics policy initiative. For more information about J-Startup program, please see: https://www.j-startup.go.jp/en/.